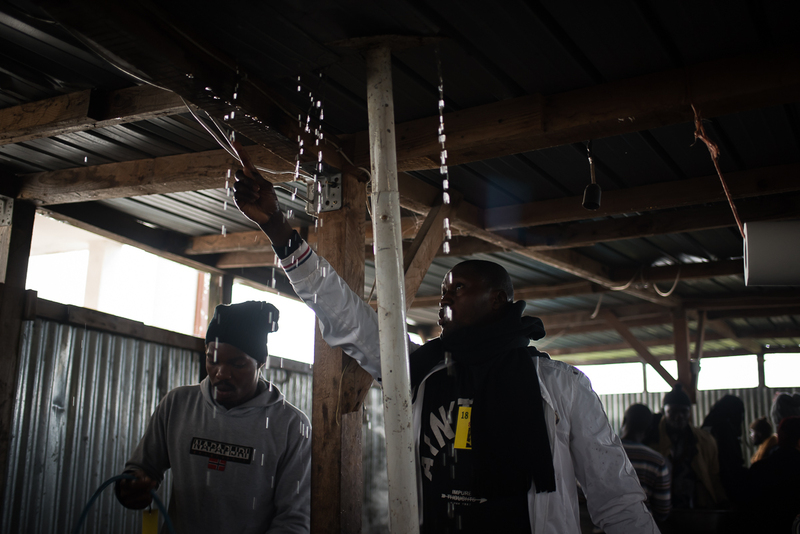 Italy, a crucial land of migration from Africa, has become a kind of ‘pilot test’ for Europe’s policies and social dynamics on migration, bringing to the fore the limits of European societies. Lately, extreme right and xenophobic groups have met high popular consensus. 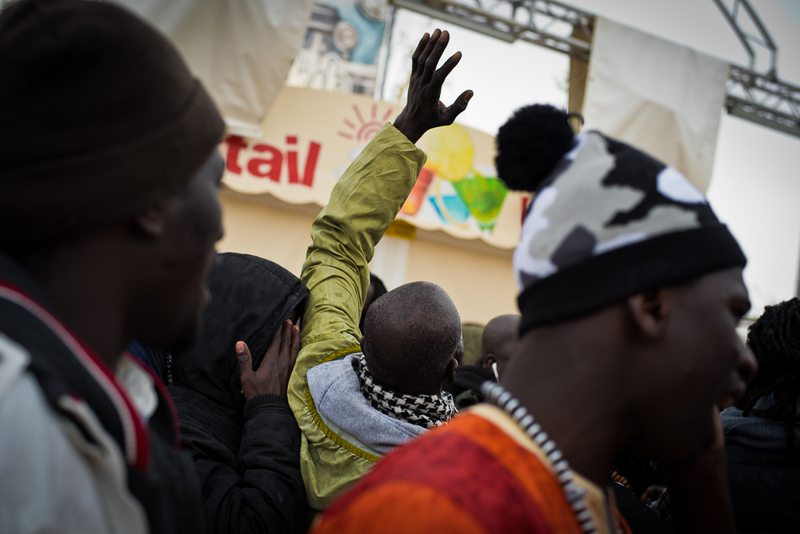 For them, migrants, especially those dark-skinned coming from Africa, are an enemy to fight. 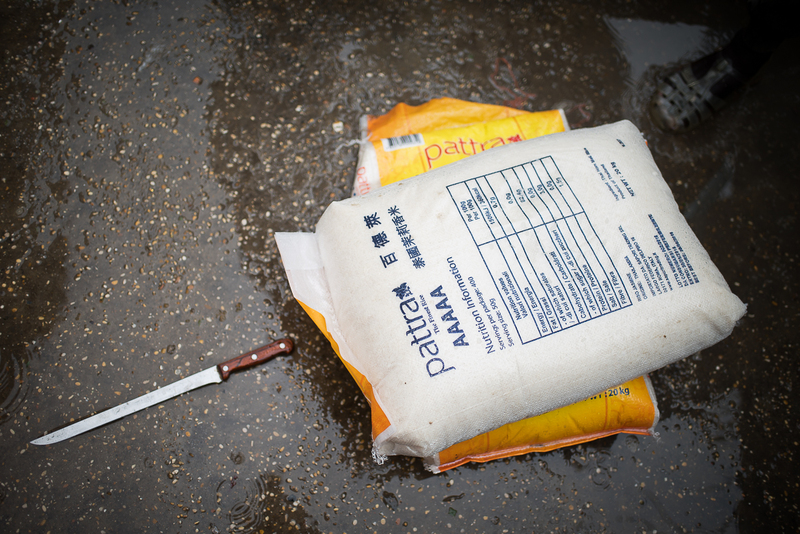 Violence against migrants has risen. Italy is going through a series of racist episodes targeting Muslims and black people, and has experienced several racially motivated murders (Florence 2011; Rome 2017; Florence, Macerata and Vibo-Valentia 2018). 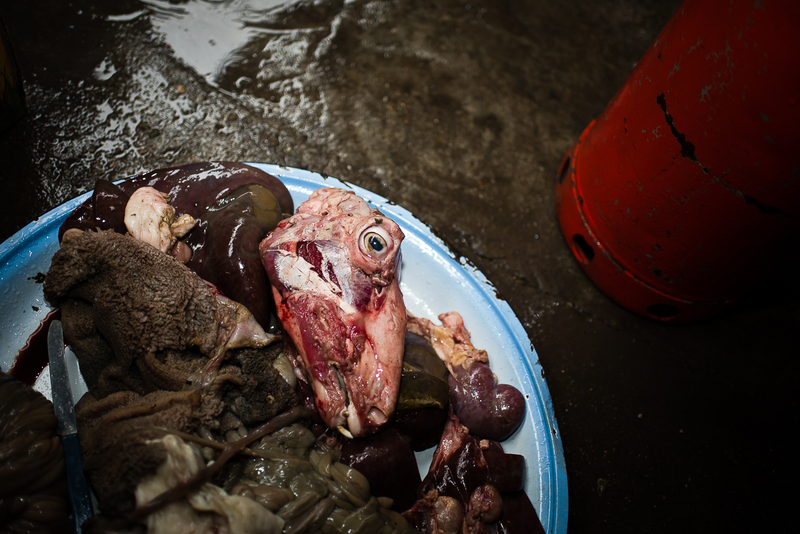 The Senegalese community has been particularly affected. 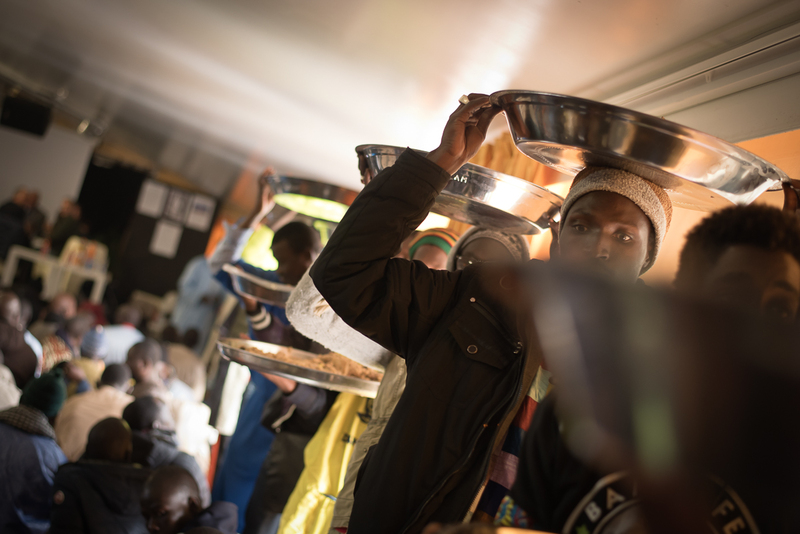 The Senegalese began to arrive in Italy in the mid-1980s, when France was making migration of people from its former colonies particularly difficult. 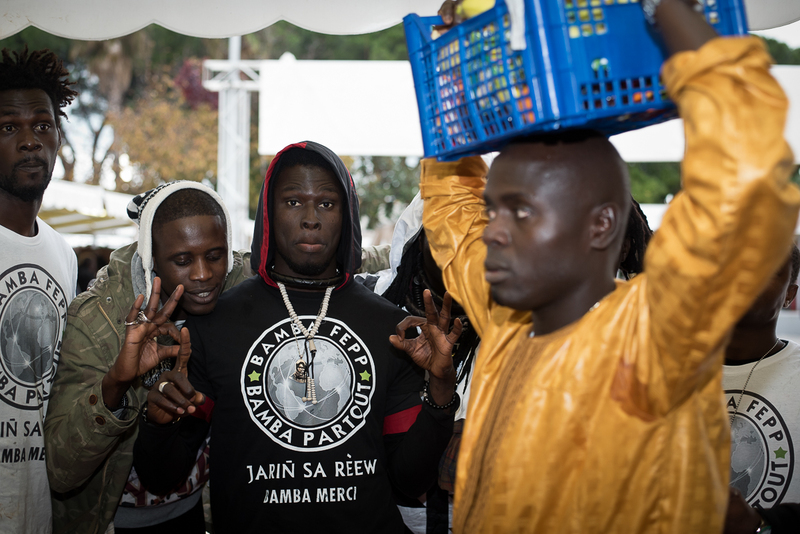 Today, the Senegalese constitute one of the most important migrant communities in Italy, connected through the Muridiyya religion. 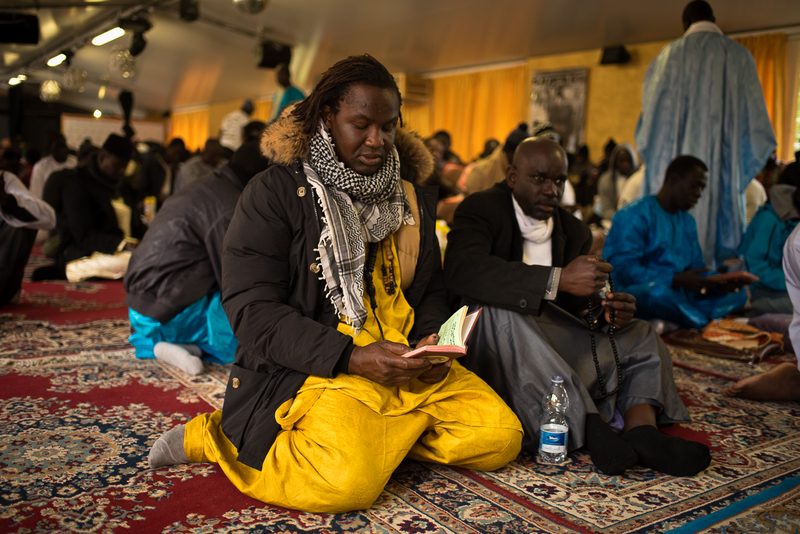 Founded in Senegal at the end of the nineteenth century by Amadou Bamba, a mystic and intellectual leader, the Muridiyya brotherhood is a Sufi Muslim organization that stresses self-help and hard work. Initially, the Muridiyya was a ‘peaceful response’ to the disastrous effects of French colonialism. 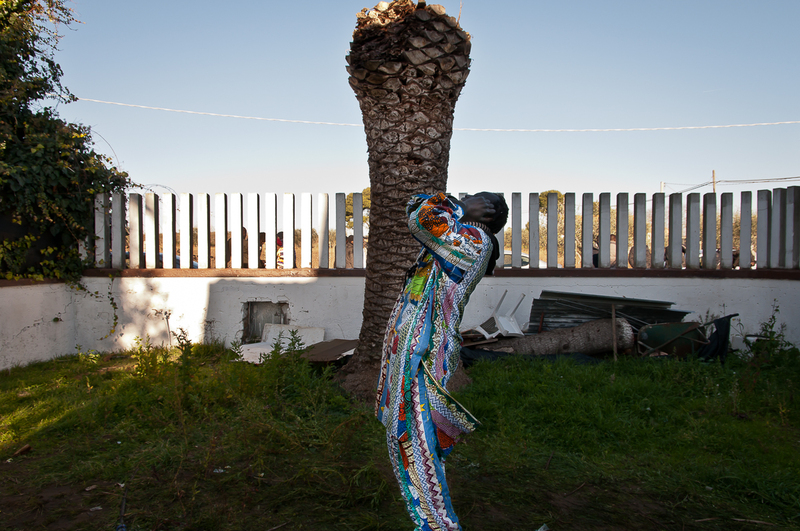 Soon it became an influential political and social movement, acting as the main political, economic, and spiritual connecting space for the communities at home and in diaspora. 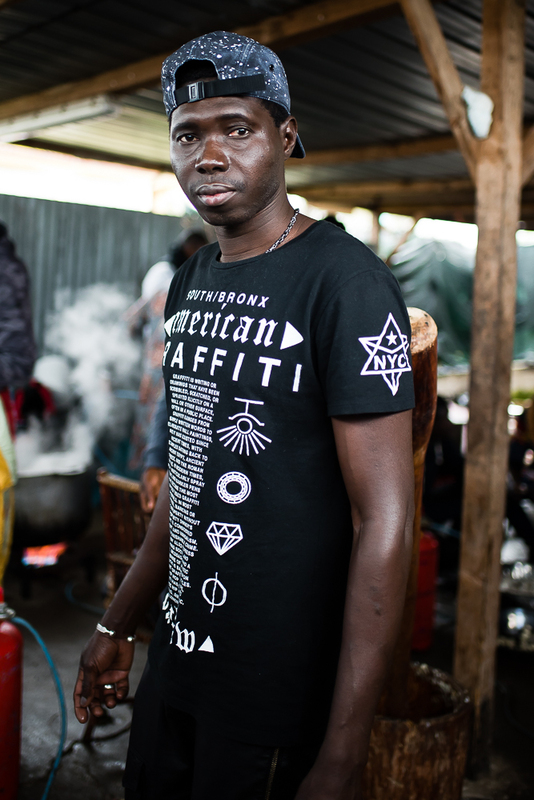 The brotherhood has a considerable following in the US and Europe, where disciples often work as street vendors. 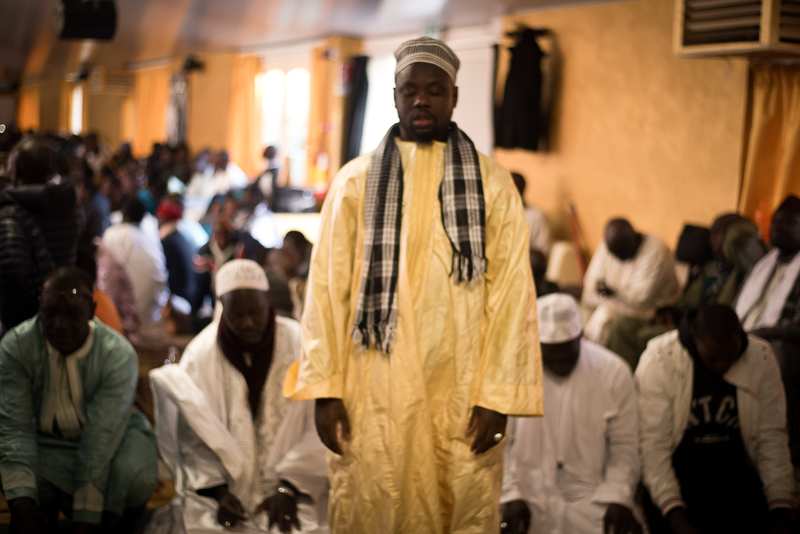 Darou Salam (House of Peace, in Wolof) portraying the Muridiyya brotherhood living in Ladispoli. 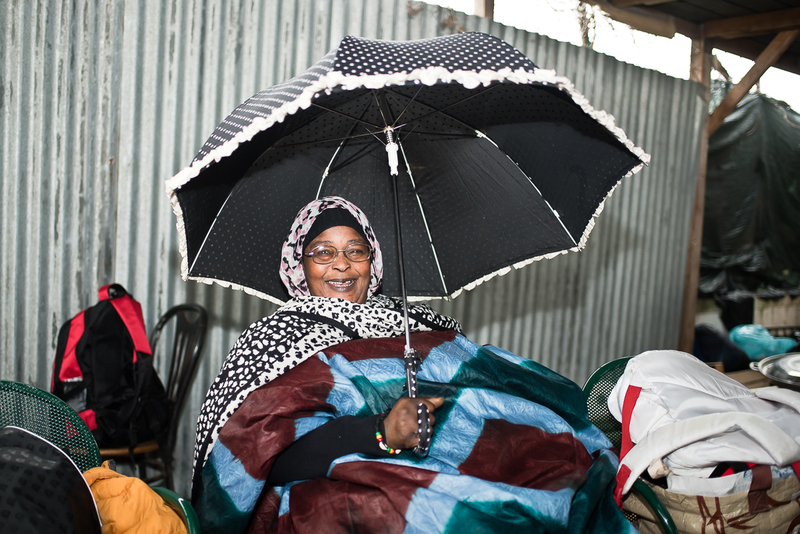 Darou Salam is the name of the Ladispoli’s Dahira. 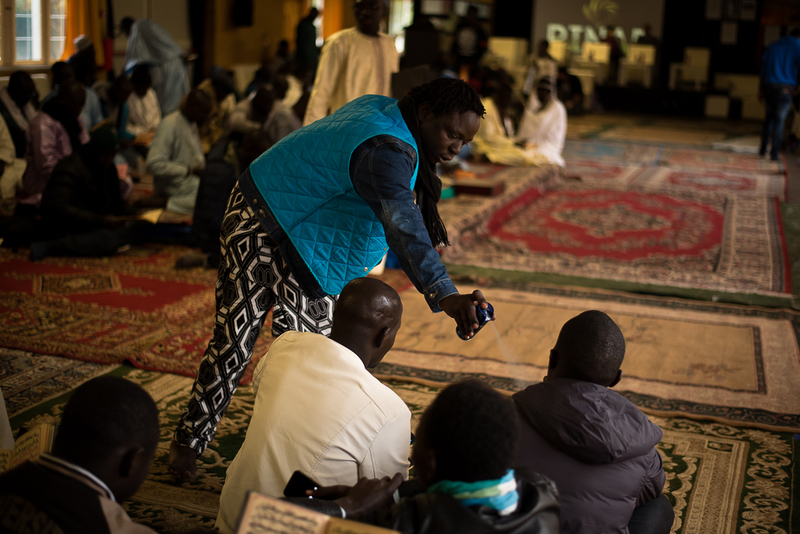 The Muridiyya’s activities revolve around the Daara, a Madrasa around which the brotherhood organizes its social and spiritual structure, where the marabout and the disciples live together, study the Koran, and work the cultivable soils. 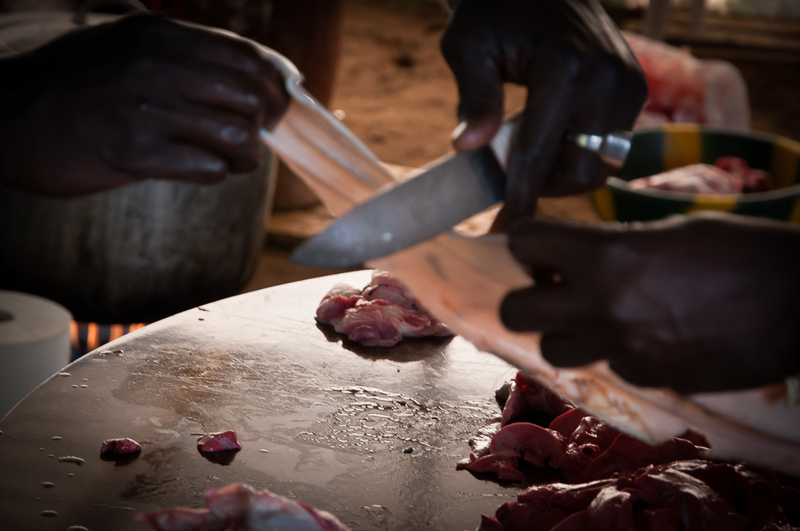 In a migratory context, the Daara becomes the Dahira, the main unit around which the Muridiyya community in diaspora organizes its life. The Ladispoli’s Dahira, a town close to Rome, is important in Italy. 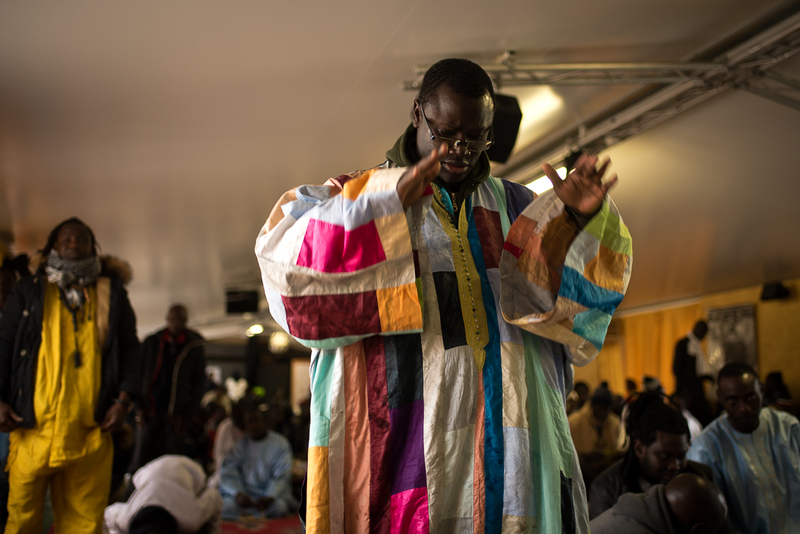 During the Gran Magal, the annual celebration commemorating Bamba’s return to Senegal after his exile from Gabon (1923), thousands of devoted Murid arrive from several parts of Italy to pray and enjoy time together. 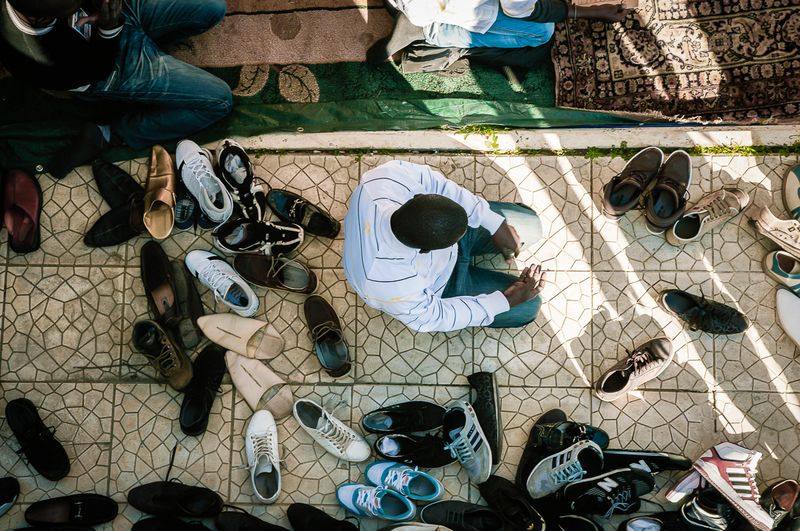 The Ladispoli’s Dahira has become an example of inter-religious reception and solidarity, giving support to all migrants by filling the spaces left unattended by Italian institutions. The Dahira is located in the outskirts of Ladispoli (Rome). The Dahira hosts Cheick Moustapha Mbacké and his family. The Cheick is a direct descendant of Serign Ahmadou Bamba, founder of the Muridiyya brotherhood in the 19th Century. 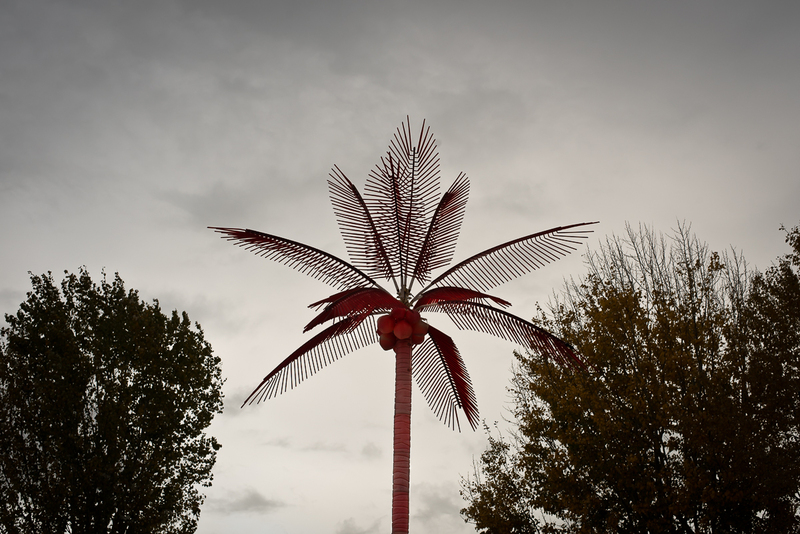 of devotees coming from all over Italy. 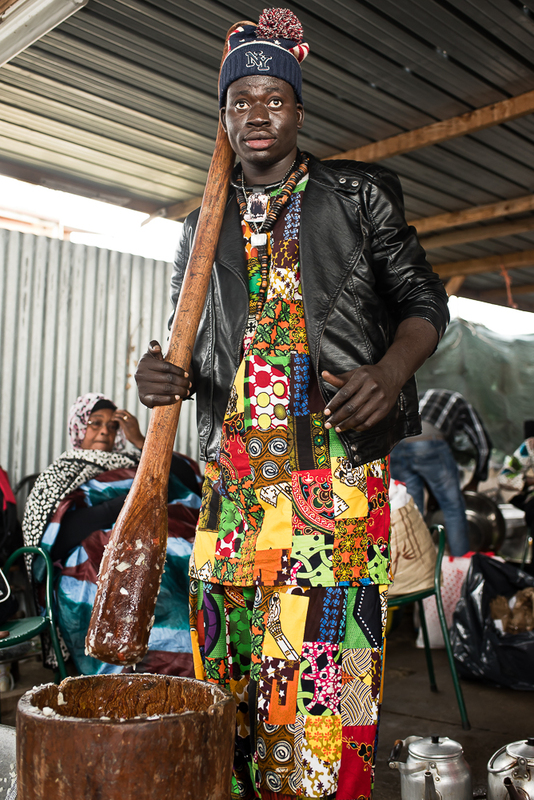 A Senegalese man is using a heavy mortar to crumble onions. 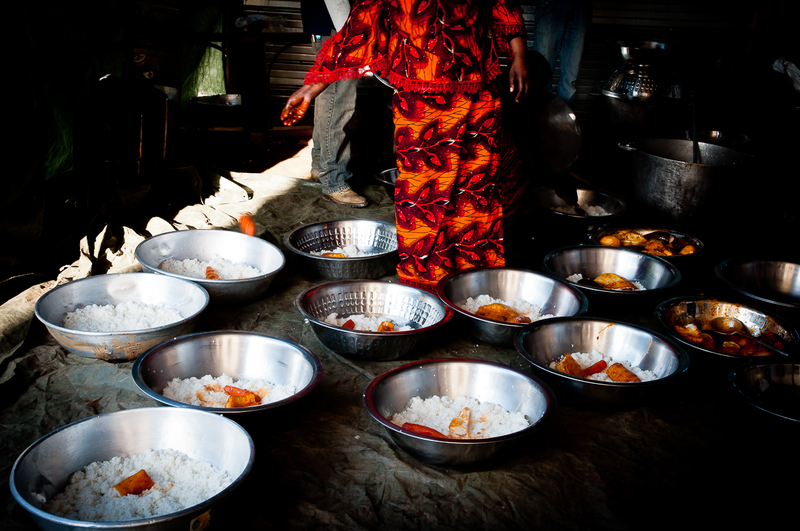 The kitchen where dozens of volunteers cook during the celebrations. 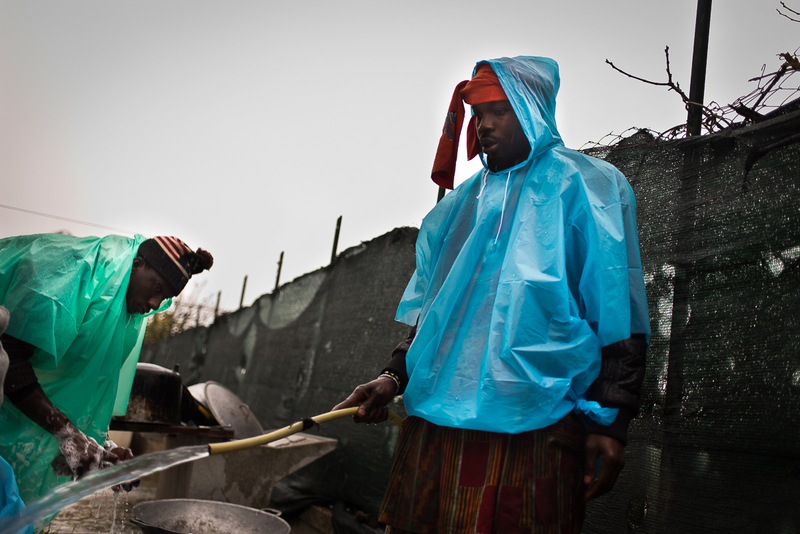 For days, dozens of volunteers arrange food and supplies for hundreds of devotees coming from all part of Italy. The Ladispoli Dahira it is also open as a Mosque to all Muslims and people coming from other countries, even if they are not Murid or Senegalese. 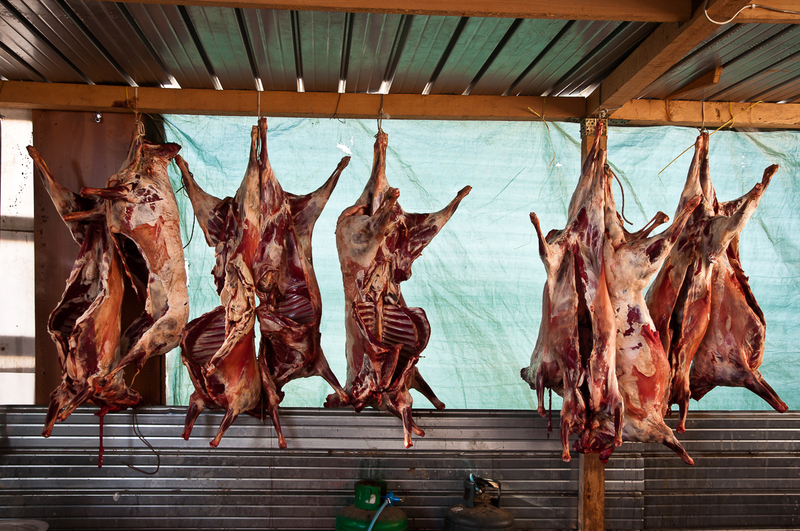 Lambs prepared for the celebrations. 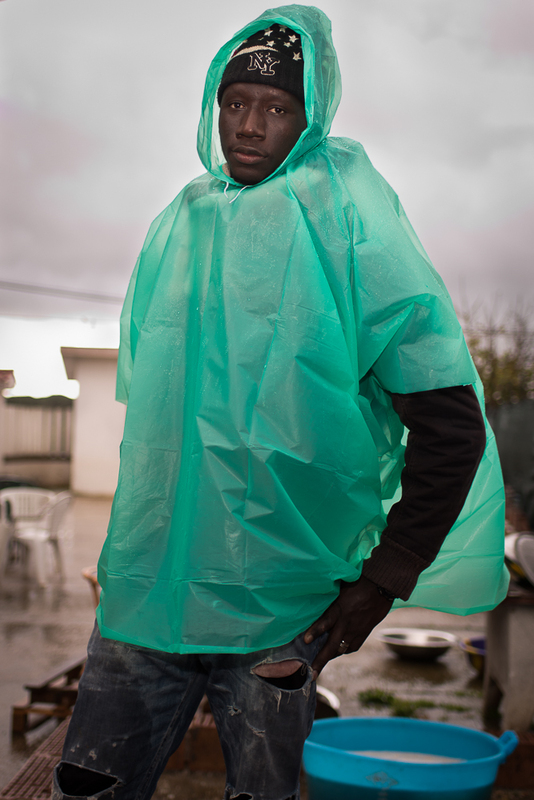 Darou Salam, Ladispoli, Rome. Foot ablution is part of the purification ritual before prayer. 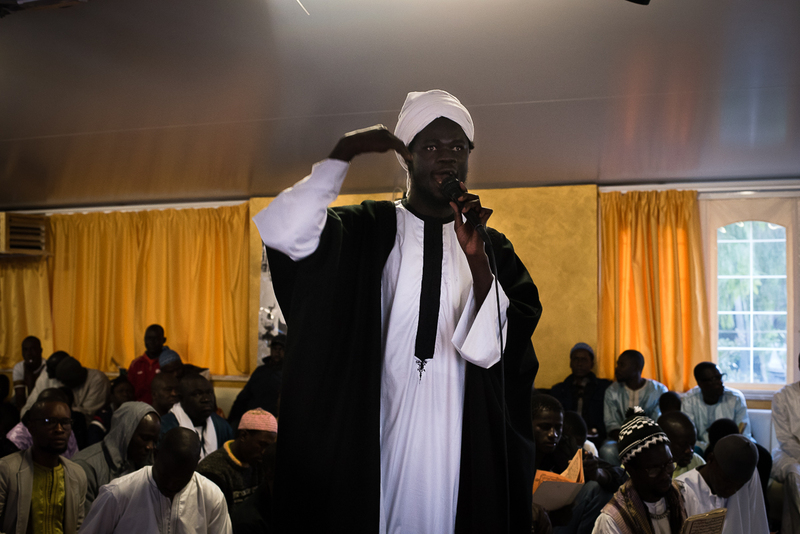 The Muridiyya has also an ultra-orthodox wing called Baye Fall, founded by Cheikh Ibrahima Fall, a devotee close to Ahmadou Bamba. 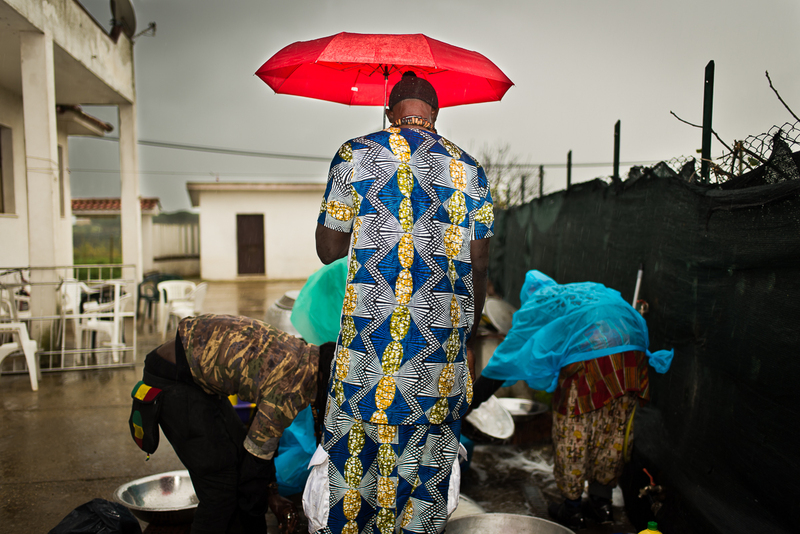 The Baye Fall abdicates material goods, refuses violence and individual life. The disciples live in a structured supportive community and consider work an instrument of redemption fundamental for their spiritual life. 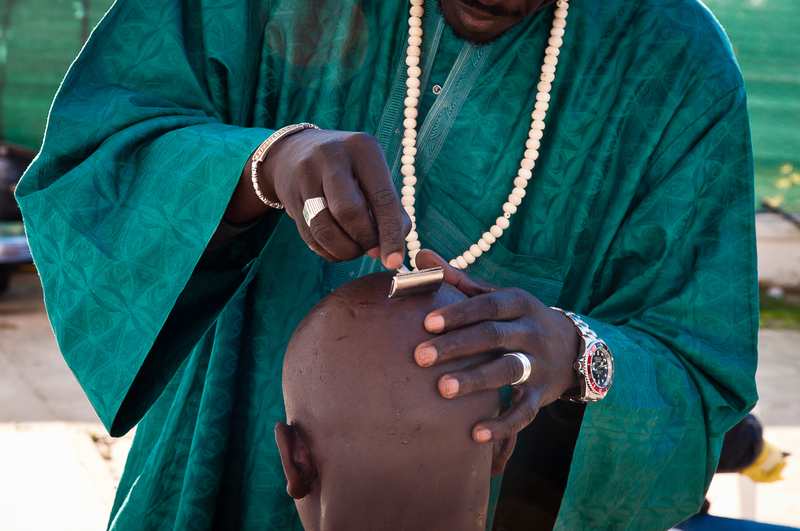 Shaving and hair cutting are parts of the purification ritual before prayer. Man spraying purifying deodorant, Darou Salam, Ladispoli, Rome. 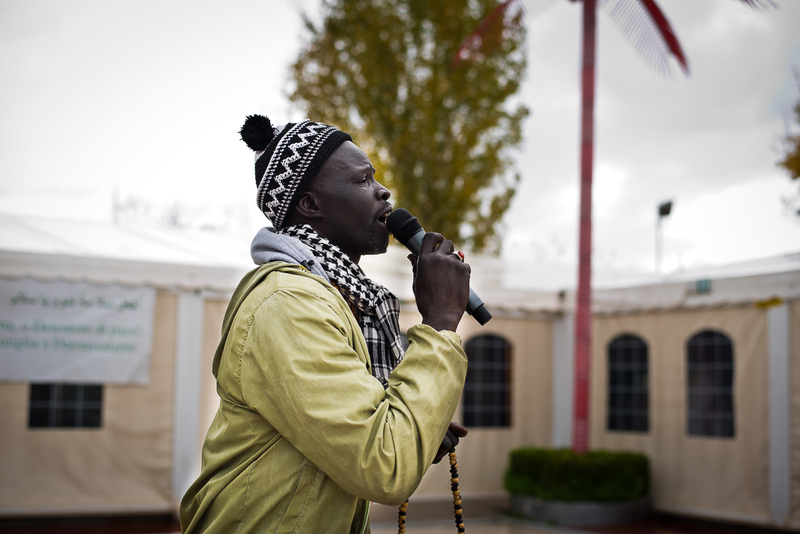 Man calling all Bay Fall devotees to prayer, Darou Salam, Ladispoli, Rome. 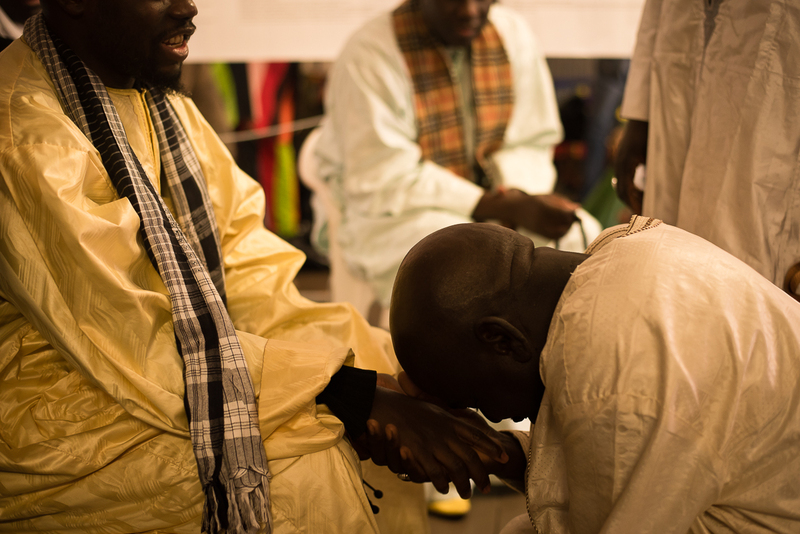 The Baye Fall are famous for they ability to pray walking in circle for several hours or even days, singing all together to a rhythm which allows them to enter a kind of mental trance. 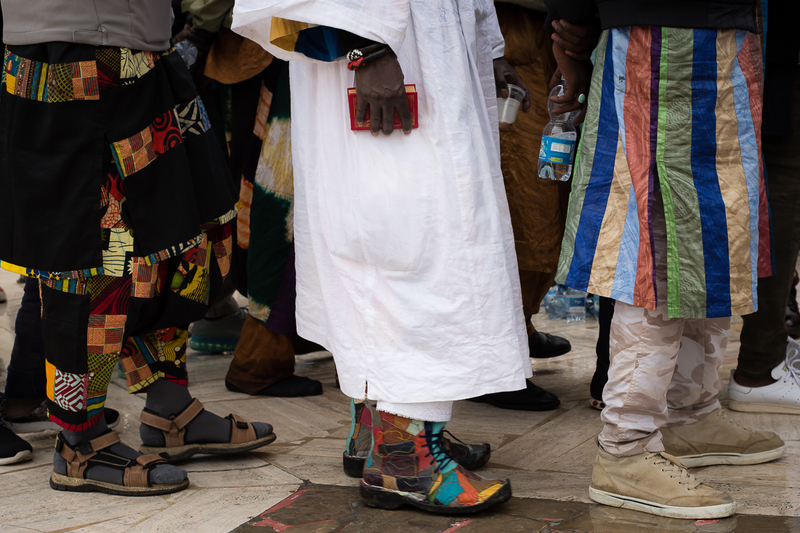 The Baye Fall devotees are famous for they ability to pray walking in circle for several hours or even days, singing all together to a rhythm which allows them to enter a kind of mental trance. 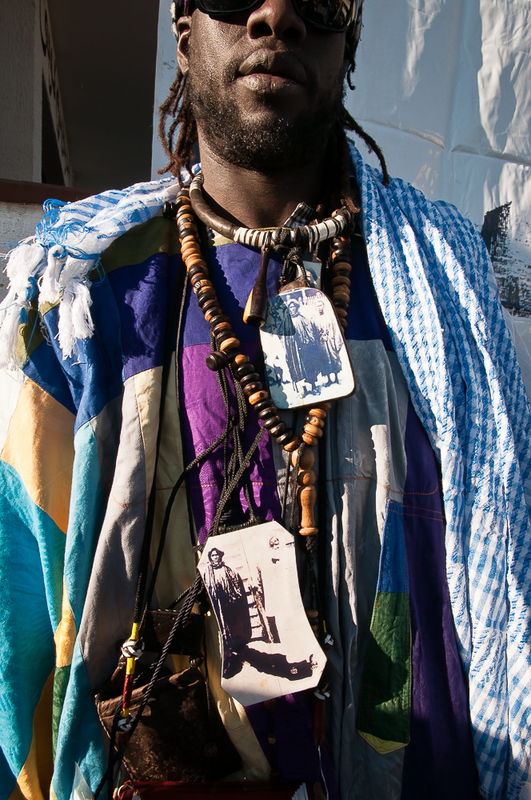 Cheick Moustapha Mbacké, descendent of Ahmadou Bamba, founder of Muridiyya, and marabout of the Ladispoli's Dahira. Gran Magal's celebration, that celebrates the Ahmadou Bamba’s exile return in Senegal from Gabon (1923). Ladispoli, Rome. After years of activities, the number of devotees at the Ladispoli’s Dahira has increased. For this reason, the community has decided to rent a bigger space in the town outskirts to host the large number of participants during the Gran Magal celebrations.